Voice: Deep yet soft which were considered gifted by his pack, his tone can be both frightening or reassuring when he needs too. For a better understanding, think of Patrick Stewart who voiced The Great Prince of the Forest AKA Bambi's father in "Bambi 2". Sirius stayed in that forest for a few days to save enough strength to travel the mountains that are blocking him. He would occasionally walk pass the tribe, his help defending the children had earned him some respect from the tribesmen. There he also befriended a Tamaskan dog from the tribe named Zodiak. They would exchange a few words at the dead of night, talking about the wilderness. When it was time to continue his journey, Zodiak thanked him once more for saving his master. Thus Sirius makes his way up and down the mountains where he faced with two wolf brothers, Rowlin and Hotaru and their friend, Rigel. They too were travelling through the same route as he does so they decided to stick together for a while. It wasn't long for Sirius warms up close to the three wolves, so close that he might even consider Rowlin and Hotaru his real brothers. So Sirius, Rowlin and Hotaru made oaths to the stars and they became sworn wolf blood brothers. As for Rigel, it was love at first sight for her and Sirius. Soon Rigel gave birth to his first litter of pups; Anubis, Procyon and Isis. Though it was difficult for four wolves to care for three newborn pups but they were eager to do so. The sight of his pack devastated him, many are wounded heavily. What had happened during his absence? Apparently a threat has been made to Journey Pack, it was from a neighboring pack that had recently been relocated here by the humans. For Alayus, they preferred to resolve problem through reason and not violence. But it was unsuccessful, so for the first time ever that Journey Pack would be at war with another. A week after the rival pack strikes, it seems easy as their rivals were of another subspecies and Yukon wolves were larger. But as for number, Alayus' pack was at a disadvantage. The fight was long and hard, in the end Journey Pack was victorious. Though relieved that their territory is secured and safe, the wolves were heavily wounded. Sabia and her helpers tried their hardest to heal and mend the broken wolves. Ace was wounded too but pushed himself to hunt with some others with injuries that are not as serious. Some were too late to save, some were slowly recovering, Alayus could also be saved but he refused to eat at all. 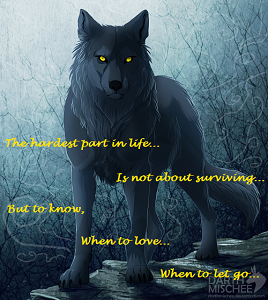 He sacrificed his own hunger for the sake of his pack's recovery, much to Sabia's disagreement. Sabia feared the worst for her brother. Sabia and Ace watched helplessly as Alayus became thinner and thinner each day, they knew that their time with him was running out. By the time Sirius returned home Alayus could no longer move his limbs, only the movement of his ears, eyes and chest could prove that he was still alive. As the stars came out that night, the four reunited siblings would relax next to each other sharing wonderful memories of their lives, Sirius' tale of his journey and meeting Rigel and Sirius' three sons. Alayus would speak in his already weak voice just to enjoy the last moments of his life with them. They didn't sleep at all that night, and just as the sun comes up, Alayus closes his eyes and takes a last whiff of his siblings before bidding a final farewell to them. Sirius, Sabia and Ace grieved for the lost of their brother. They personally buried Alayus, sending him off with mournful howls. His heroic sacrifice managed to save a few wolves who needed it. Sirius viewed that Alayus was so valuable that his one life could be exchanged for a few others. As time flies by Sirius, Sabia, Rigel, Rowlin and Hotaru were getting quite old, Rigel's aging was more visible of the five. 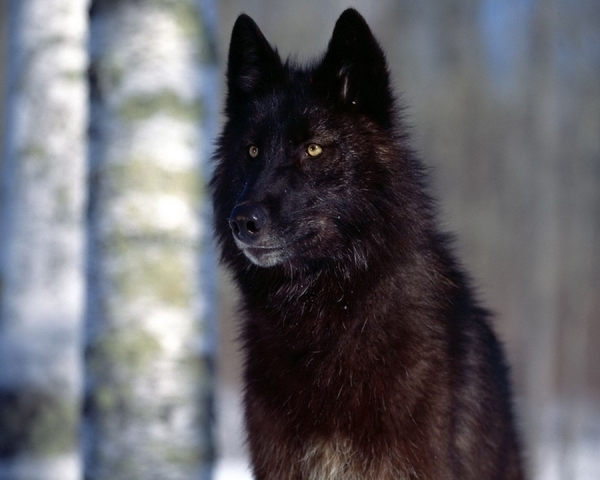 Sirius knew of the signs when a wolf's time is near it's end, he had observed it from his parents before as a yearling. He was always by Rigel's side, spending all the time he had left with her. Rigel knew of this too and accepts it calmly since it was the way of life. The next day Rigel could no longer be awakened, her spirit had already gone on the river path to the stars. Sirius shed tears at the lost of his beloved mate, but at least their last moments together will be cherished forever. The passing of Rigel meant to Sirius that it was time to step down as Alpha and pass on the title to his offsprings. Since his sons have not returned yet, he decides to pass on the leadership to one of his daughters. His daughters had just reached 2 years of age, a bit young to be an Alpha but he has his confidence in them. Sirius thought long and hard about choosing the next heir. 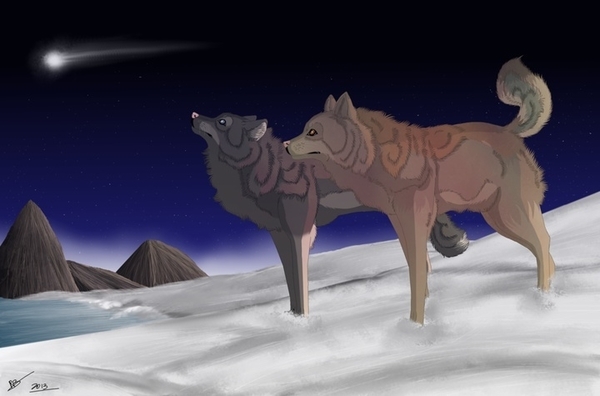 The day came where Sirius announced that he resigns as Journey Pack's Alpha, and he appoints Harmony as the new Alpha. The foxes told Sirius that Alcatraz was very grateful to have met him, if Sirius weren't to come across him he would have been died by the hands of humans. 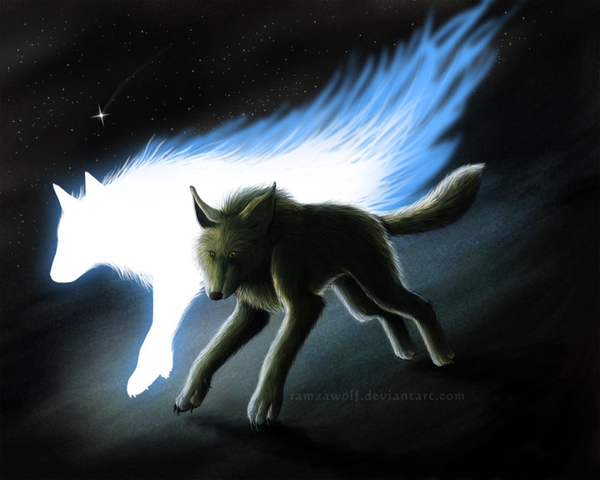 They explained that they remain here is because their father wanted Sirius to receive this message, knowing that Sirius would come back one day though the fox himself will not live long enough to see it. Having fulfilled their father's promise the pair gave Sirius a 'Thank You' and disappeared into the bushes never to be seen again. Touched by his old friend's effort, Sirius and Echo send memorable howls in hopes somewhere up there Alcatraz will hear it. Sirius was about to continue when Echo admits to her father that she wishes to go home. Puzzled by this, Sirius asked for a reason. Echo answers that even though travelling was a fun experience, she loved spending her time within the pack more. Sirius smiled at her and nodded, the two turned around and went back home. Once they returned to Journey Pack, they were welcomed warmly by every member. Months later, Echo had her first litter with her mate. A litter of five; Ramza, Jalay, Altair, Aurora and Song. It was a joyous moment for Sirius, his first litter of grandchildren. The old wolf's dreams had been fulfilled, seeing that the pack's tradition had been passed down successfully yet again to another generation. Sirius had seen what he wishes to see, now he can leave with full confidence that Journey Pack will live on. Sirius bid his farewell to his children, grandchildren, Rowlin and Hotaru. Sabia tried one more time to change Sirius' mind, but she knows the answer will be the same. She shed tears for her brother, knowing that they will never see each other again. Once Sirius leaves, he will be returning here again. Sirius also shed tears for his sister as this will the last time they will ever see each other. Moved by the unbreakable bond that their Alpha's family have, the whole pack wept for their former Alpha. Not long after, he made his way to a nice patch of land which is inhabited by a fairly numbered group of wolves. He met a few of them including their beta male named Jeamesero, he learned that their Alpha had gone away and hasn't returned for a while. 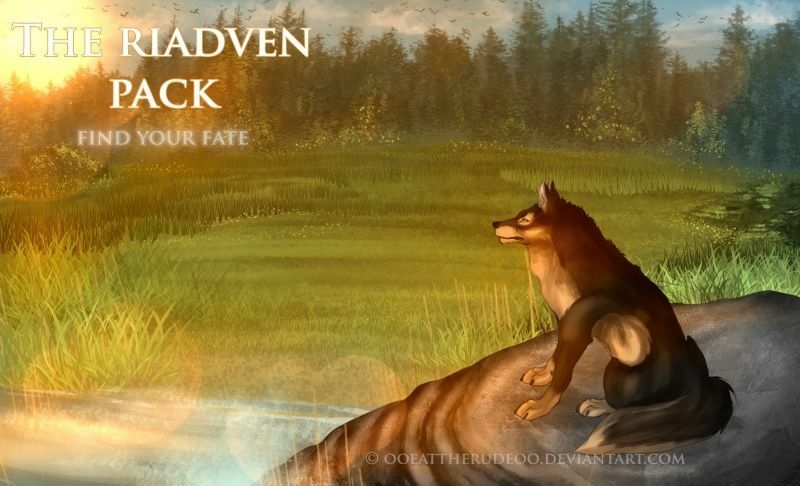 Deciding that it is time to find a permanent home, Sirius chose to stay with the wolves and become an elder for their pack that was named Riadven. During his stay, he met several other wolves like Verine, Cassiel, Hatsune etc. Seeing the submissive Hatsune, Sirius took it upon himself to help the young wolf and boost his confidence. It was a slow process but Sirius was determined to turn Hatsune's life for a brighter future. Unfortunately the poor young wolf didn't live to see it as he was killed by Jeamesero when the beta suddenly became aggressive. 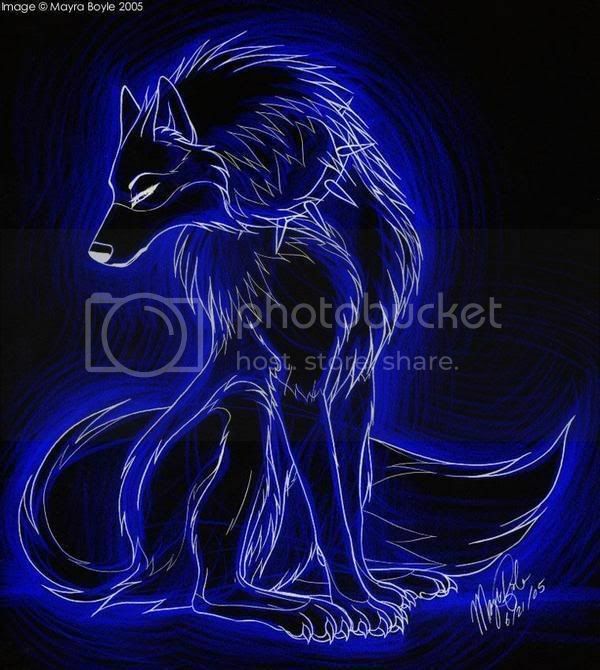 Not only Hatsune but another two wolves which one Sirius could recognize as the pack's Lead Warrior, Shadow. Just as the chaos happened, Riadven's Alpha Maverick had returned and demotes Jeamesero to Omega. Upon requested to lead the funeral, Sirius agreed to do so as it felt like a sense of respect for the dead, though mostly for Hatsune. Out of the blue, Maverick declares Cassiel and Verine as their new Alpha pair and left them soon after. Sirius did not blame him for leaving, all living beings deserve to make a choice that they think it is best for them. He continued to enjoy living here and during one night he felt the presence of a few wolves. Those that do not belong to Riadven yet his nose tells him that he knows them. He followed the scent into the forest and out the clearing. There he sees three figures that made his old beating heart feel young again. The figures that stood a few yard in front of him were in fact his three sons; Anubis, Procyon and Isis. The three wolves made a mad sprint towards their aging father, wagging their tails around like a dog. Sirius greeted his sons with a warm nuzzle to their faces. He told them everything he had ended up here and how their birth pack is faring. 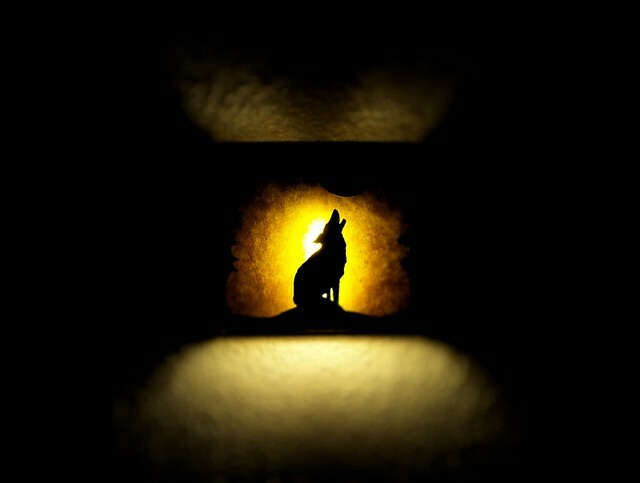 To the old wolf's joy, his sons were actually planning to return to Journey Pack just as they promised. When they requested for their father to come with him, Sirius turned them down, much to their dismay. Sirius explained that he could no longer travel far distances, so had found a pack here that is willing to take him in. 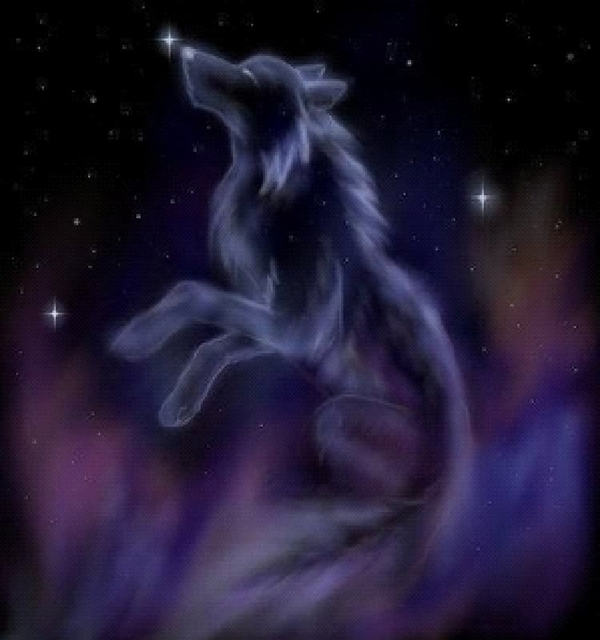 Instead, Sirius give his eldest son a rock that is covered with the old wolf's scent and told him to be Journey Pack's next Alpha. Saddened to part Sirius agrees to accompany them to as far as he can manage. Travelling through the old route that Sirius still remembers strongly, he spent every second he has with his sons telling them about his travels both young and old. As they arrived at the bottom of a wide range of mountains, Sirius bid farewell to his sons. It was a sad parting for all of them but the terrain will be impossible for Sirius to climb at his age. With a heavy heart, the old wolf sent his sons off with a howl in hopes that their ancestors in the stars will guide them back home. With that, Sirius made his trek back to Riadven. As he turned away from the mountains and the fading figures of his three sons, tears fall from Sirius' eyes. Knowing that his faithful reunion with his sons was to be the final time he will ever get to see his family again. 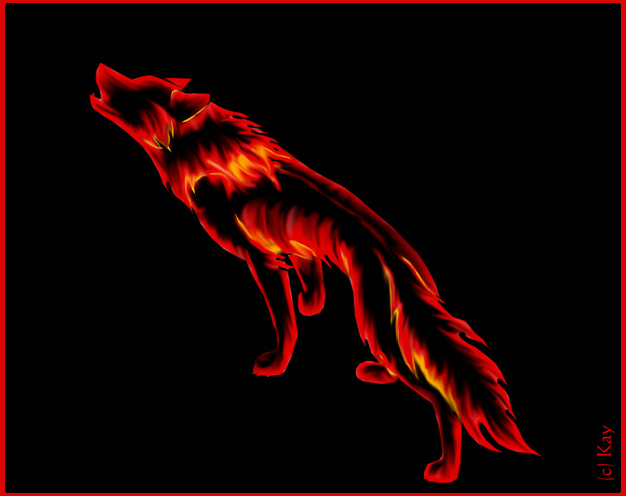 "As the Journey of Life continues on, so will the burning spirit of the pack." "Farewell dear family...My spirit will forever lie within you all..."
Northern Lights ~ Elders. Wolves who have lived to their golden years and wishes to spend their last moments in peace. Highly respected by the entire pack for their knowledge and experience. They portray the colorful lights of the North, for the pack is grateful of their presence just like the beautiful Aurora Borealis. As am I for this pack to Mave ^^ Btw, I have to react to join the pack again correct? OK once I get the stuff I need I'll start posting in the rp.